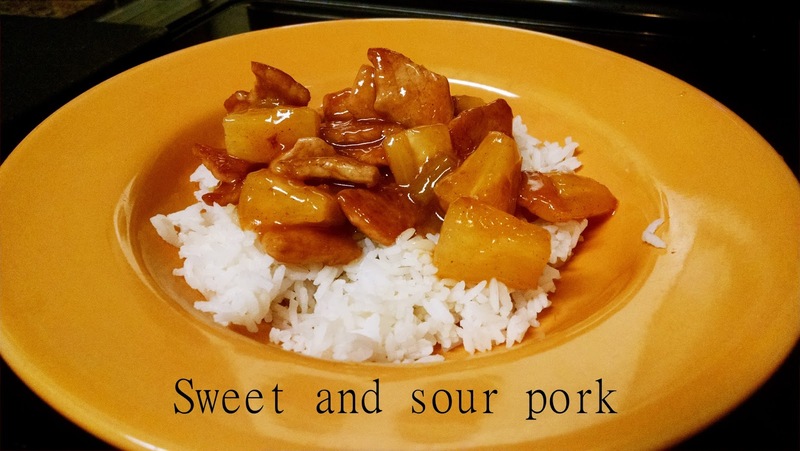 I've never been a fan of sweet and sour anything, but a few weeks ago my husband requested sweet and sour pork for the weekly menu. I'm up for trying new things and I usually like the things I make. I found this recipe on lilluna.com and tried it out. It was delicious! Heat oil in a pan. Sprinkle pork with paprika and brown in the pan. Cover pan and cook pork for about 20 minutes, or until tender, stirring occasionally. Combine in a medium bowl brown sugar, cornstarch and salt. Add the pineapple liquid, soy sauce, vinegar, Worcestershire sauce and water until mixture is smooth. Add to meat, cooking over low heat until thick, stirring occasionally. Stir in pineapple and green peppers. Cover and simmer over low heat for 6-8 minutes or until the veggies are tender. This is really a great recipe and my husband loved it too. Try it out and let me know what you think by leaving me a comment below or sending me an email.